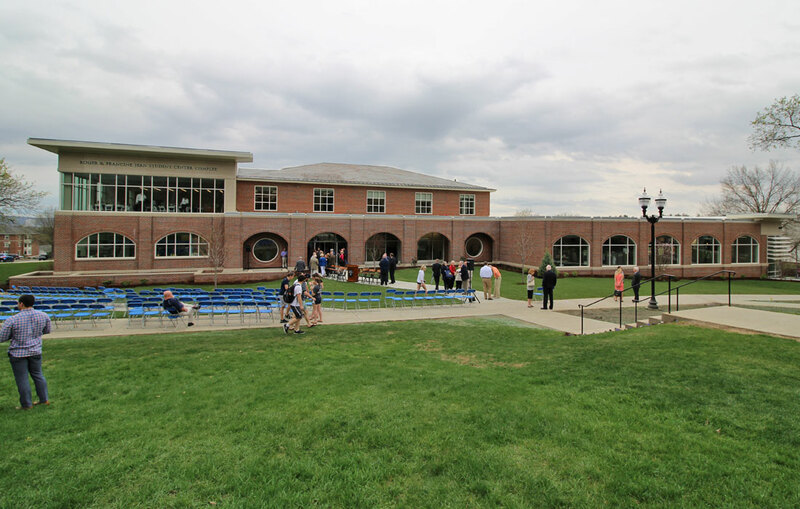 A ceremonial ribbon cutting was held at Saint Anselm College on May 4, 2018 to celebrate the opening of the Roger and Francine Jean Student Center Complex in the heart of its Manchester campus. The College chose Eckman as Construction Manager to oversee the building upgrades on this signature project. 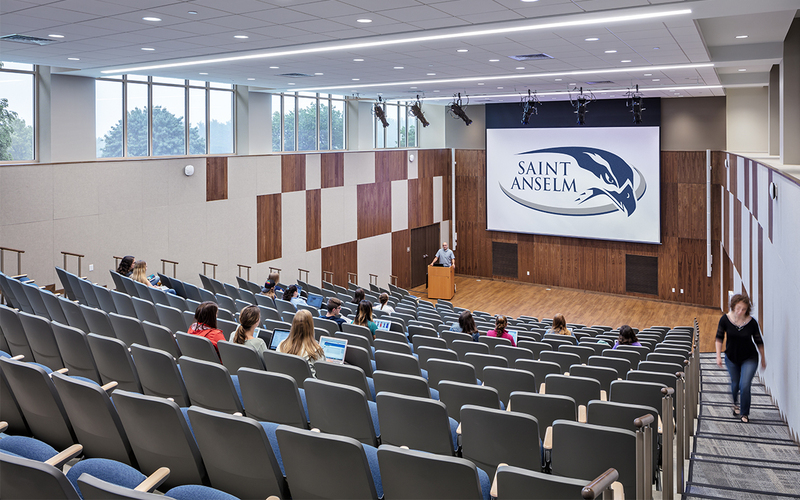 The Student Center project marks the 15th construction project for Eckman on the Saint Anselm College campus. 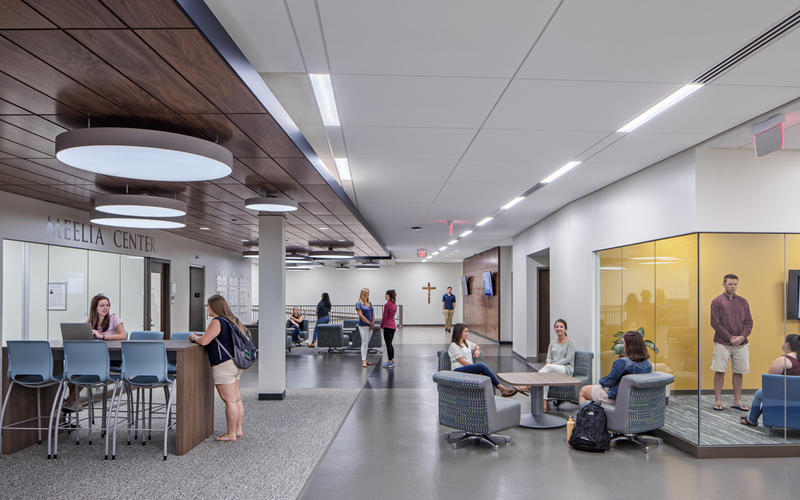 The renovation and expansion of the former Cushing Center has now created an active, dynamic space that promotes the collaborative mission of the College. 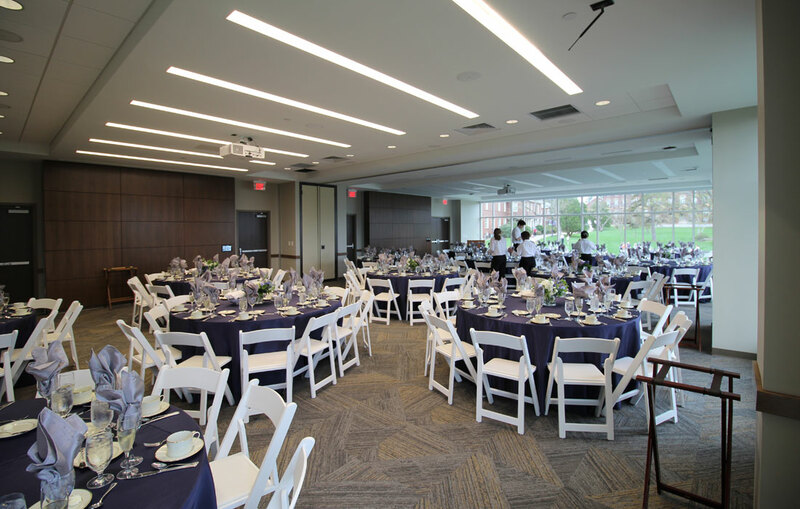 The additions and renovation work included the Meelia Center for Community Engagement, student social and study spaces, a cafe, new bookstore, conference and event center, new 260-seat auditorium, offices and support spaces. The overall look of the building reflects the heritage and tradition of the College.